Morgan James Publishing, 9781630474058, 168pp. The need for effective leadership is greater than ever, and the requirements have changed dramatically. Today's leaders need to cultivate a level of influence by building connections that develop trust and inspire followers. Deliberate and intentional leadership is needed at every level of every organization. Building leadership ability and credibility is a lifelong process, and the best leaders work at it consistently; they also know that leadership emanates from the inside out, and it all starts with the right thinking and the right mindset. 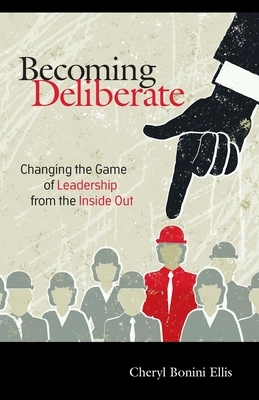 Becoming Deliberate author Cheryl Bonini Ellis is a former business executive-turned-entrepreneur, trainer, coach, and trusted advisor to business leaders, entrepreneurs, and professionals. She believes that everyone has the opportunity and responsibility to lead and that leaders can have a more profound impact by becoming deliberate about their thoughts, attitudes, and behaviors.